The annual retreat at Camp Allen near Navasota will be held March 21-24, 2019. Join other knitters and take some classes from accomplished teachers! We are p leased to announce that KANG will host a workshop and trunk show featuring Alissa Barton of Knitting Fairy Designs in February 2019. 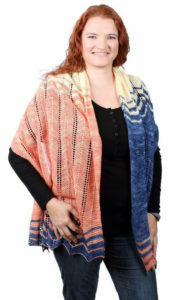 A teacher with more than 30 years’ experience, Alissa is known throughout the fiber community as its go-to source for anything and everything involving knitting, from cast-on to bind-off. Her Knitting Fairy patterns have been published in a variety of magazines and are available on Ravelry. 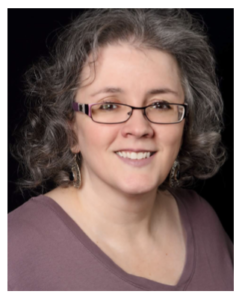 Alissa has taught classes at workshops, guilds, and retreats throughout the country since 1990, having most recently been an instructor at the Lambs on the Run retreat in Breckenridge, Colorado, along with Ann Budd, Romi Hill, Jennifer Miller, and Norah Gaughan. The workshop will be held on Saturday and Sunday, February 2nd and 3rd, at the Courtyard by Marriott Westchase, 9975 Westheimer, Houston, Texas, 77042 (between Beltway 8 and S. Gessner). Following are the class offerings and workshop schedule. We are all familiar with using decreases to shape our knitting, and we all know that we like working certain decreases and dislike others. Have you ever thought about how you can change the type of decrease and alter the overall look of the design? Picture a beautiful lace flower, where it comes to a point at the tip of a leaf. Have you ever wondered how you might have made it look more pointed or rounded? Maybe you aren’t a fan of P2togbl—is there something you can do to make it easier? 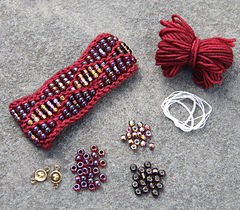 We will explore not just decreases, but the art of the stitch and how to bend it to our whimsy. Our project will be a lovely shawl featuring the decreases taught in class. Skills learned – Single decreases, double decreases, paired decreases, feathered decreases, purlside arrowhead decrease, purl centerline double decrease, knit left double decrease, and others. Many knitters avoid the Kitchener Stitch. It’s NOT hard! Learn not only how to work a basic Kitchener in stockinette and garter stitch, but how to weave your knitting together in patterns—even lace! We will use one of our samples to make a cute cup cozy. Welcome to Intarsia! Intarsia is the art of changing colors within your knitting to create a picture without adding to the thickness of your knitting. In true Intarsia, the tails are never carried, but you will learn how to deal with them expertly and efficiently. In this class, we will explore changing colors in straight lines, diagonals, rounded edges, and florals to create pictures within your knitting. You do not need to be an expert to work Intarsia, just willing! 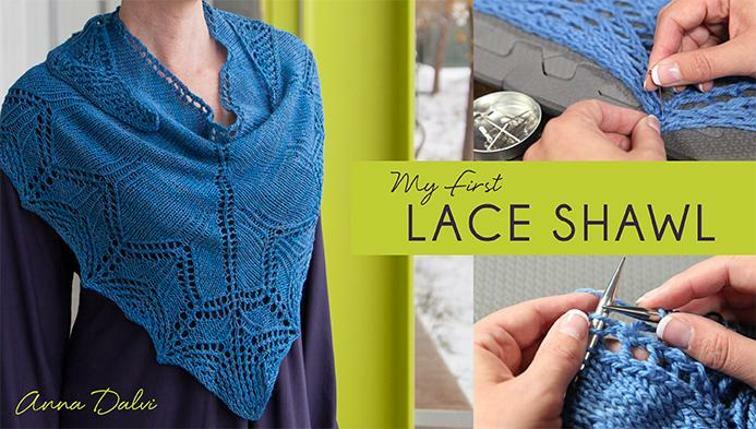 In class, we will learn the skills necessary to knit a beautiful lace shawl with an Intarsia border. Charts for users of Knit Companion will be available. In addition to the workshop, a trunk show of Alissa’s original Knitting Fairy designs, along with a selection of hand-dyed yarn from Theodora’s Pearls, is scheduled for Saturday, February 2, from 4:30 – 6:00 pm. Refreshments will be served. Everyone is welcome, whether or not you are registered for a class. Registration is now open to the public. Non-guild members will be charged an additional $25 to register with the option of joining the Guild. If you wish to join the Guild, please go to this page: http://knitatnight.org/join. Free Watch Weekend (through 7/1). Bored? We don’t know that word. And if you tune-in this weekend, neither will your kids. Starting today, you can stream 10 free classes specially made for the junior chefs, fashion designers, cartoon artists, and crafters in your house. Kids will learn how to make their own comic, bake cakes, and customize their wardrobe. You’ll learn just how fun and easy summer can be. Camp Allen Retreat is sold out! If you would like to be put on the waiting list, please contact Ann Cole. There’s more to Houston Fiber Fest than just classes and shopping; there’s also the fun of meeting new friends! The Meet-Up Table in the atrium (look for the balloons!) is the place to be. 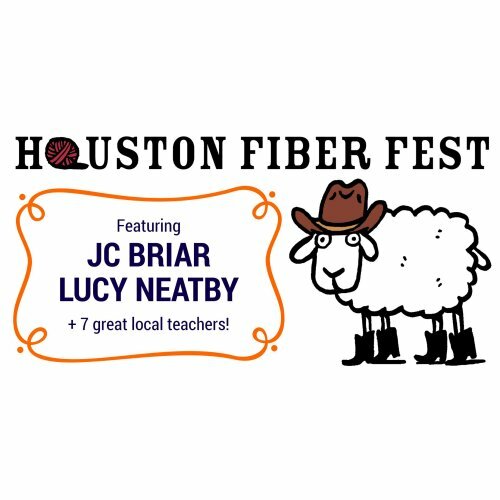 There will be knit- and crochet-alongs, stitch marker swaps, demos, and lots of opportunities for you to talk with other Houston area fiber enthusiasts who share your interests. When the vendor hall closes on Friday and Saturday evening, gather at the table to coordinate group outings to local restaurants. SoCK Mtg – New Year! New Technique! Cont’d. SoCK is continuing its annual New Year! New Technique! Craftsy class. We are watching the “My First Lace Shawl” Craftsy class. Last month we watched Lesson 1. This month we’ll be watching Lesson 2 and 3. You do not need to purchase the class to attend the meetings, but if you want it to view on your own time, or if you want the pattern, you do need to purchase the class. 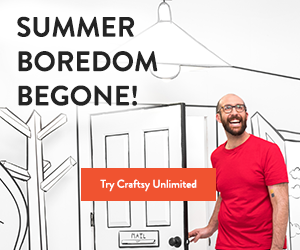 Make sure to purchase it from the Craftsy link on the KANG website. (KANG gets a portion of the proceeds for every class purchased that way). Kid ‘N Ewe is Texas’s premier fiber arts festival for spinners, weavers, knitters, crocheters, felters, and anyone else who enjoys the wide variety of fiber arts. Come shop for tools and supplies in our three vendor halls totaling over 30,000 square feet of nationally-known vendors who provide a wide variety of artisan made goods. Try something new, or hone your skills, by taking one or more of our 50+ workshops taught by talented artists from Texas and surrounding states. Visit the animals up close and personal in the animal barn and be on hand for demonstrations and sales. Kid ‘N Ewe has something for everyone! Come join us! KANG will be hosting a Knit in Public event on 11/5 at 10 am at the Texas Renaissance Festival. Come knit and cheer on your favorite jouster! We will also be observing Spinning and Weaving demonstrations presented by the Festival Artisans. Tickets will be $19.85 for adults and $9.30 for children under 12. Tickets purchased will be available at the gate. Please arrive on time as we will enter as a group. Tickets will be on sale at the KANG website on 10/3. Ticket orders by check may be sent to 3210 Autumn Bridge Lane, Houston, TX 77084. Please specify the number of tickets, the type of ticket (adult or child), and if the ticket is for a KANG member or not. All checks must be received by 10/14.